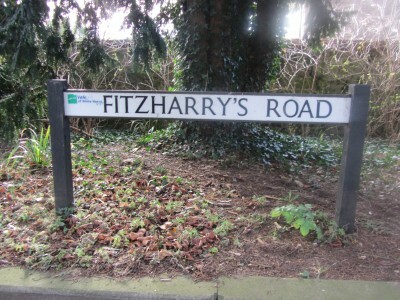 Just off Bath Street, up Fitzharry’s Road, can be found a large green space in the centre of a 1950s estate. The estate was developed as housing for workers at the atomic energy research establishment in nearby Harwell. 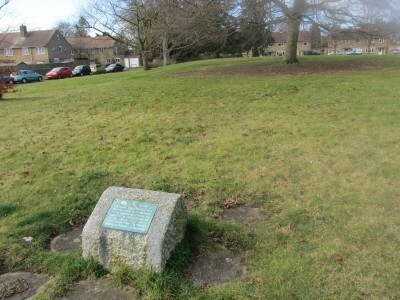 The green space with the plaque is what reamins of Fitzharry’s House – a large historic house demolished in the 1950s. It had a long history and The Friends of Abingdon tried to save it – but in vain. 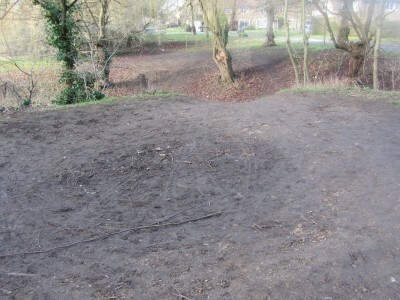 The top of the Motte is ten to twelve strides across, and about ten strides deep. 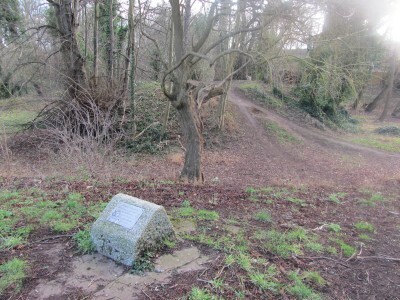 It is still surrounded by a ditch which was once the moat. The Bailey that stood on the Motte would not have withstood an attack by a visting army but would presumably have kept a marauding mob of locals at bay on a Friday night. The Ftitzharry name comes from a 13th knight, Hugh FitzHarry, who sold this estate to Abingdon Abbey before going off to the crusades. He probably got bored of fining locals whose pigs had strayed onto his estate, and got fired up by something really really worth fighting about – the Holy Land. Nothing much has changed. Just one day left in February. Last time we had a leap year, I see from the Abingdon Blog that there mumblings about the new traffic lights installed at the far side of Abingdon Bridge. They did get moved. 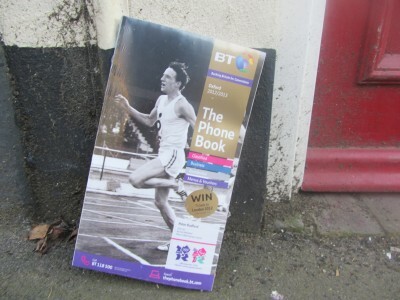 The runner on the front of The Phone Book for 2012/2013, to be seen outside various houses in Abingdon, is Peter Radford … Sprinter … Bronze Medalist … Rome 1960 Olympic Games. 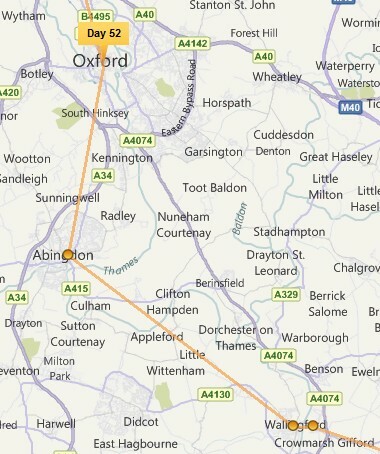 The Olympic torch will be carried through Abingdon on Tuesday 10th July. The route will not be quite so telegraphic as the map suggests. Having celebrated the night before in Oxford the torch will come through Abingdon in the early morning before setting off down the A415 towards Wallingford, and after a long day on the road will stop for a celebration event at Reading. In his previous shop, West End News, Peter Wiblin used to have a window full of posters advertising events in town. 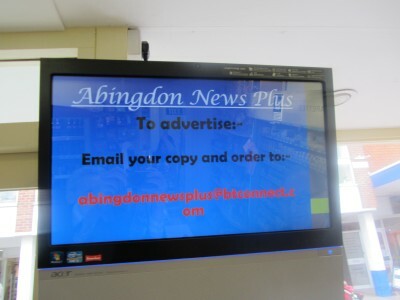 In his new shop, Abingdon News Plus, Peter has a smaller window, and to make up for that Peter has installed a screen running a loop advertising what’s on. 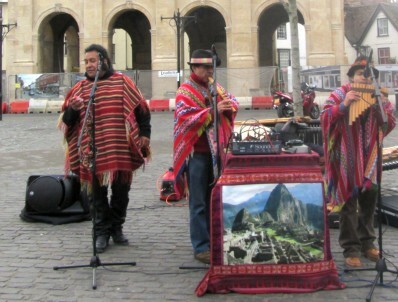 I think he will charge for the service, but during March as an introduction the service is free. 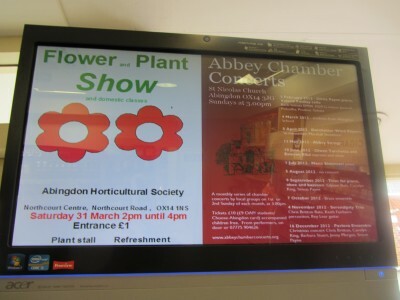 I learned on the display that there is a plant / flower show at the end of March. That will be new for the blog. 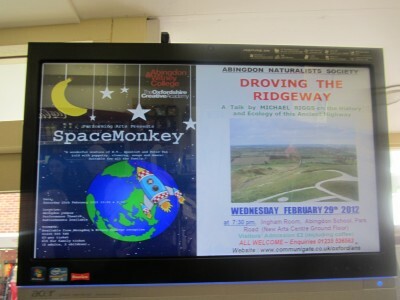 Free Advertising at Abingdon News Plus deserves extra points.